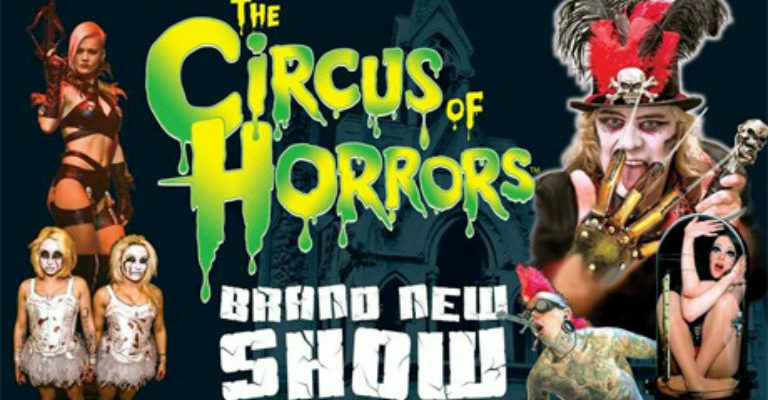 In addition to the 100 theatre’s the Circus of Horrors performs in each year it also appears in Festivals throughout the World including Download, Reading, Leeds, Isle of White, T in the Park etc in the UK, Fuji Rock Festival in Japan (twice), Wacken festival in Germany plus shows in Chile, Uruguay, Holland, Belgium, Argentina, France, Italy, Ireland, Finland, Hong Kong and Moscow where it created history by becoming the 1st UK Circus ever to perform in Russia. And an astounding 10 nights in London’s O2. It is not the 1st time however that The Circus of Horrors has created history, it became the only circus ever to reach the finals of Britons Got Talent and the 1st Circus to perform in London’s West End for over 100 years, & the only Circus to perform in a single venue in London (The Roundhouse) for an astounding 24 weeks, (previous record was 17 weeks).